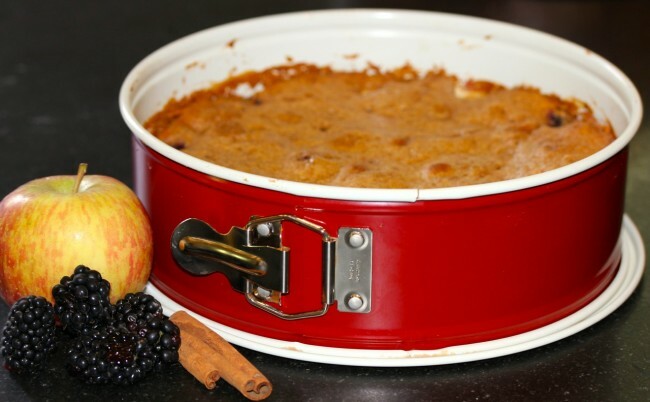 Mix 2 tablespoons of butter with the honey and spread over the base of a round cake tin that is at least 2 inches deep. Peel and core apples and chop into half-inch cubes. 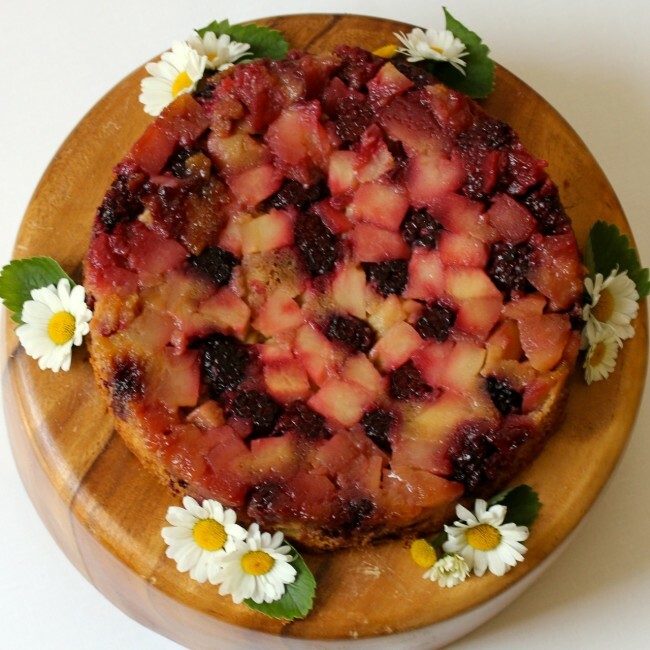 Arrange apples and blackberries over the honey and butter in bottom of cake tin. Cream ½ cup of butter with sugar until light and fluffy. Slowly beat in eggs. Sift the flour with the cinnamon and fold into the creamed mixture. Stir in enough water to make a soft dropping consistency and cover the fruit evenly with the cake batter. Bake for 30 minutes until golden brown. Allow to cool for a few minutes before turning out on a warm plate. Allow tin to sit on top of cake for several minutes to allow the juices to run into the cake. Serve with sour cream or plain yogurt.